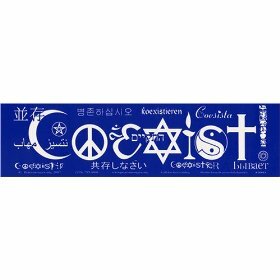 Coexist. International version. Bumper Sticker.